My great friend Kim took some wonderful photos of Caroline last week for her baby announcements. I thought I'd share one now, and one is posted on my side bar. I'm saving the others until the announcements go out-but, I thought everyone might like a preview... so here is my favorite(that will not go on the announcements). There is just a new kind of bond between us, as mother and daughter, that cannot be explained! I have been recovering now for two weeks from my c-section. I am still a little sore, but overall doing quite good. People from church have been graciously providing meals for us every night. I cannot explain how much that has helped our family. When I have to actually start cooking dinner again, or even think about what to make my days will surely be different. A HUGE thanks to everyone who has brought us meals since we've been home from the hospital! Tony has gone to work 3 1/2 days this week, he will be off tomorrow. I have been at home by myself during the days with the two kiddos. I am actually surprised at how well things have been going. I am not sure what we would do without Noggin (the 24 hour preschool channel) during the day. At least it's somewhat educational- as much as Television CAN be these days. I justify the TV because I know it won't be like this forever. It sure helps when I can just rest and take care of Caroline while Tobin plays in the living room with me, and has the soft sound of the TV in the background. He has been doing a lot of "coloring" this week, as well. Our Fridge is FULL of his creations. Anyway, we have been couped up in the house during all this cold weather, so Tuesday when Tony got home from work, I made him go with us on a walk around the neighborhood. We all got bundled up and headed outside. Tobin was so ready to get outside and play, and I needed some fresh air, as well. I thought I'd document our first family walk with our awesome double stroller (courtesy of Craig's list) and family of four. Thanks for all of the support and prayers. I covet your prayers still, as we are adjusting to our "new normal". Thanks for keeping up with our family! My mother painted some awesome signs for our Sweet Caroline's Room. I HAD to brag on her, and post them on here. Thanks mom! We love you so much! This one is hanging on her door! Isn't it fun!? After- Admiring himself in the mirror after his First Haircut. 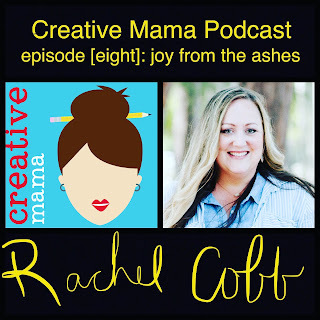 We have been adjusting to life with two kiddos, and I have been recovering from my c-section the past two weeks. Caroline is two weeks old, and I'm not sure where the time went! Well, that is... other than feeding, changing diapers, and trying to catch some Zzz's. Here is a photo montage to try to catch up the last two busy weeks! All photos in random order! Tobin showing off his Valentine Chocolate hands and face! Nonny, Tobin, and Caroline posing for a photo on a windy, sunny day. I would not have survived the first week without my mother here. Thanks for cleaning my house, doing our laundry, and taking care of all of us! We love you and miss you so much already! Caroline smiling during her infant hearing screening test. She passed! Doesn't it look like she's jamming to her ipod? ha! Thanks to our great friend Tricia (state director for hearing screenings) for testing her for us! We appreciate you! Papa came to visit and brought these beautiful tulips! Tobin was admiring them catching some sun! We've had lots of love from brother and sister. Tobin is taking to her so well! We are so proud of him! He Loves her so much! We would not be surviving without the vibrating bouncy seat and Soothie pacifier. What did people do in the "good 'ol days"? This photo was taken of Tobin on the way to the doctor's appointment. He had strep throat the first week we were home. Thanks to my mom for Sanitizing the WHOLE HOUSE! Luckily, no one else has caught it yet! Nonny spent lots of time giving Tobin one on one attention! He loves it when she reads books to him! Papa's first time to see his Granddaughter! Caroline @ one week old! 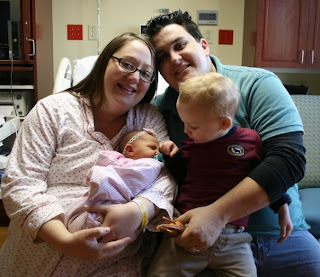 When we left the hospital, her weight was down to 7lbs 9oz. 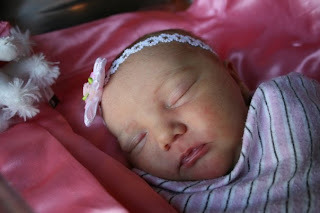 At her one week appointment, she was already 8lbs 14oz. She is a little piglet and loves to eat! She is such a great nurser! Thank you, Lord! The first few nights were filled with moments like these! She was weaning off the pain meds, just like me! poor baby... and mommy and daddy and nonny, too! The days have been mostly spent like this... for Caroline, anyway. Tony is smitten by his daughter. He has melted. 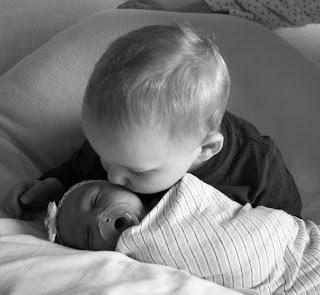 She has him wrapped around her little fingers! When Tobin had his sky-rocketing fevers with strep throat, we had lots of blue Popsicle stained faces and shirts. Nonny made Tobin a wonderful book for Tobin about his family story. It is so cute! It starts out with our Wedding, and then Tobins birth, and now talks about Caroline, and Tobin being a big brother. He reads it every day! She also brought lots of "prizes" for his "good deeds". He misses her so much! Papa, posing for a photo with the kiddos. He is such a proud grandfather! We spent an entire afternoon (over 3 hours) in our Master closet one day. Yes, it was the day the tornadoes came through. God's hedge of protection was over us that day! The Edmond Tornado came less than a mile from our house. All this time, Tobin had a fever and missed his nap. This day was miserable, to say the least. Hail from the Tornado storm... piling out of the gutter. We got Hail up to golf ball sized! It was incredible! Aunt Sarah came to visit for a weekend. I think she loves her niece! 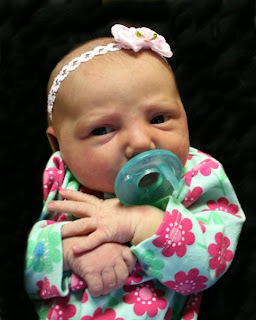 Our Sweet Caroline is now two weeks old, and she is doing so great! She's sporting her flower headband in this photo that our sweet friend, Alyssa made. I will try to do better updating my blog. Hopefully we will keep adjusting and working toward our "new" normal. Thanks for checking in on us! Happy Valentines Day to the ones we love! Near or far, we love you so much! Thanks mom for the wonderful Valentines Wreath for our door! We miss you already! To the man of my dreams... 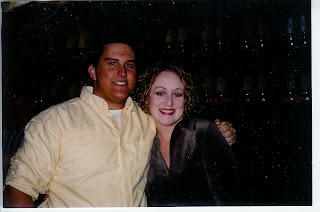 Thanks for asking me to be your "girlfriend" 8 years ago today! I cannot imagine my life without you! We are home and doing great. Without the help of my mom, we would not be surviving. For those of you wondering why she came two days earlier than expected... here is a short version of the story. I went into the hospital last week with contractions. They sent me home and told me to take it "easy". I thought, "Are you kidding me? Yeah sure I can take it easy, take care of my 2 year old and get my house clean for this baby- NOT!" But, honestly I did take it pretty easy. 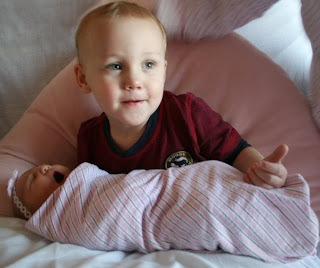 My house was in no order to have a baby when we went to the hospital Tuesday, birth day... but we made it. anyway, back to the story... They had sent me home from the hospital with contractions and told me to take it easy. Well, the contractions continued for almost a week. My doctor checked up on me Tuesday afternoon and said he wanted to do a stress test on the baby to make sure she was handling all this okay. So, we went in for a stress test. We had Tobin with us- knowing that it was only a test, and we'd be sent home to get ready for Thursday. Not the case at all. Everything on the stress test went wonderfully. The baby was doing good, but I was still having contractions. Since I had to have a repeat c-section, my wonderful Doctor decided to put me out of my misery and said we should have the baby at 8 pm. When he delivered the news, I was till in my regular clothes, Tobin in the room with us, it was 6 pm. A little bit of panic went on, and then it was full adrenaline excitement! We were having this baby tonight!!! So, we put in a few phone calls in, and updated our facebook status, and started to pray. I prayed for Peace that surpasses all understanding, and the Lord gave it to me. I was ready. So, at about 8:30- they wheeled me into the Operating Room. 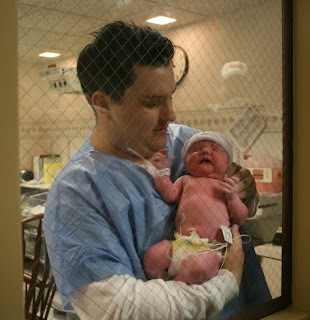 Caroline was born at 8:54pm on Tuesday, February 3rd, 2009. I hope that wasn't too much rambling... now for the photos. Enjoy! I'll update more, later. 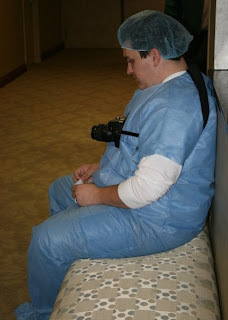 Tony, waiting to go into my surgery. 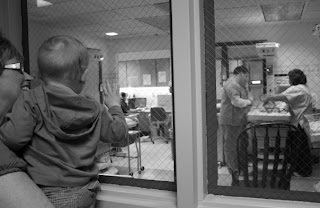 Daddy showing Caroline off from the nursery window. Baby Caroline, one day old. 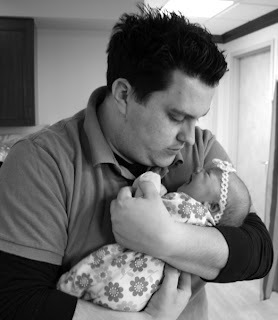 Tony and his precious daughter... Can you say "smitten?" Mommy and her daughter to hold and love. 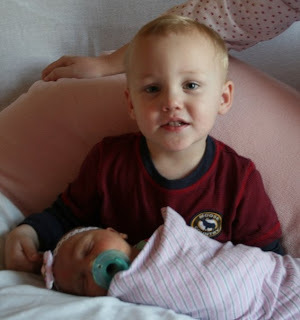 Tobin LOVES his baby sister! Praise the Lord! My recovery has definitely been easier than the first. 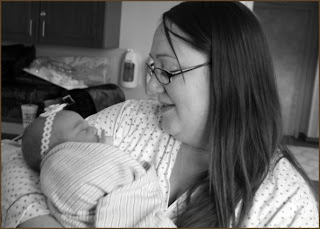 Partly, because I knew what to expect, and partly because I didn't go through 20 hours of labor first. 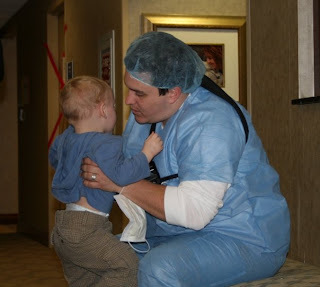 But, mostly because I have an amazing Doctor, who took really good care of me. God has been so good to our family- way beyond our deserving. We are home and doing well. We are sometimes great, sometimes barely surviving. Caroline is a great eater, and doing wonderfully! We are adjusting to life with a newborn again. Tobin has been doing so great! He loves his sister. We are truly blessed! Thank you for all your prayers... we could still use them if you'd like to pray. For now, that's it... hopefully it won't be too long before I post again. ps- A HUGE thanks to my wonderful friend Kim who took all of these amazing photos for us! What would we have done without you? !